Welcome to Kate Anne Design Build. If you are looking for some of the best landscaping designs Los Angeles has to offer, we are here for you. We are a truly turn-key Landscape Design + Build Company that takes you from your budget-managed design, through to a beautifully completed installation, with your peace of mind intact. Let's face it, the world of construction and design can be daunting and as home-owners we've all experienced, or at least heard of the crazy stories our friends have gone through doing renovations on their properties. There hasn't seemed to be someone on the homeowner's side looking out for them, and helping them navigate the controlled chaos of construction. Having had lots of experience as interior/exterior designers, contractors, owners representatives, and homeowners ourselves, we've seen and been through it all. We wish we had someone on our side when we were going through it. That's what we've found to be our special ingredient that has helped us be so successful. We're the designer, the contractor and the homeowner's representative all in one. Our job is to create a beautiful Los Angeles landscape design, manage your budget, and help you mitigate the stress of the installation process so that you can focus on enjoying the fruits of your labor. We've taken the vast complexity of Los Angeles landscape design, hardscape design and the installation and distilled it into a simple process. We take you from initial concepts, through a schematic design, planning, engineering and budgeting so that the project is thoroughly thought out prior to placing the first shovel in the ground. We like to give you the prediction and certainty on the project from the start. Then we as the designers, provide the installation so that nothing is lost in translation you are delivered the yard design you were promised. Kate and Ryan have a combined 30 plus years of design and building experience in all environments from the interior to the exterior, with all types of projects from small yard remodels to large estate design. Obviously our passion is landscaping designs in Los Angeles and this is our field of expertise. Kate has over a decade of experience designing & project managing interior and exterior environments for a wide range of clients. Entering the field as an interior designer, Kate worked hand-in-hand with clients to establish their dream home designs. Having achieved invaluable practical experience and an impressive record in interior design, Kate brought this unique talent from the interior to the outside world. Kate decided to focus on the exterior living environment for her clients so that the interior ambience they invest so much in would be equally enhanced once they step out their doors. In 2012 Kate & Ryan combined their total 30 plus years of experience in design & construction. Ryan has spent the better part of 22 years in the field of residential and commercial design, development and construction management, working on over 400 projects in 57 countries. Ryan has lived and worked in LA, Florida, New York, Cincinnati, Las Vegas, Seattle, Twin Cities, Moscow, Spain, Israel and a number of other locales on an extremely varied mix of design and development projects. Having worked with large and small design firms to execute both simple and involved designs, culminating in running a team of 30 planners himself, Ryan brought that knowledge into the field of Project Management. Having seen first-hand the pitfalls and errors that can befall a home-owner in developing their project, Ryan decided to devote his hard-won expertise toward the goal of alleviating the stress, overspend and re-do that so often is the fate of a homeowner venturing single-handedly into the realm of home renovation and exterior design. Ryan acts as the owner's representative, ensuring it is done right the first time with the right contractors and matching a budget and schedule you want. If you are located in any of these above areas or close by and are looking at a new project for your property, call us today or reach out to us from our Contact Us page. We are always happy to hear from you and look forward to answering any questions or inquiries you may have. Maybe we will get a chance to work together! We know we would love that! 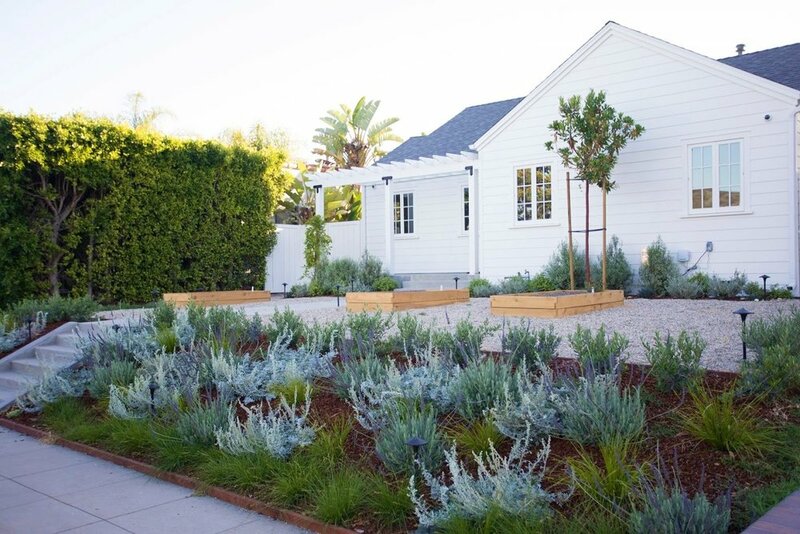 Kate Anne Designs produces some of the best landscaping designs available in Los Angeles. Call us today to set up your one-on-one consultation. Servicing Hidden Hills, Calabasas, Studio City, Sherman Oaks, Malibu, Santa Monica, Pacific Palisades, Brentwood, Tarzana, Encino and Toluca Lake.